Decoding the fine print so you never get caught unaware. Credit card overspending and failure to read and understand the fine print on credit card statements are two of the most common reasons for credit card debt. According to creditcards.com and the Federal Reserve, Americans owe $807.5 billion in credit card debt and the average US household that uses credit has a balance over $8,000. While swiping your cards certainly isn’t complicated, knowing how to read the statements can be. As a result, users get into trouble because they just don’t understand how their cards work so problems arise. To better manage your accounts, Consolidated Credit offers this easy guide to help you understand your statements. If you still have questions or need help, call 1-888-294-3130. Previous balance: The balance carried over from your last statement or last billing cycle. Payments: The last payments you made towards the outstanding balance on your card. Other Credits: This section lists all the credits and reimbursements you’ve received on your card be it from overpayments or resolved disputes. Purchases: Total of new purchases made with your card. Balance transfers: Any balances transferred from a different credit card on to the card in question. 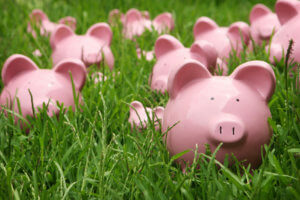 Cash Advances: Cash advances that were taken by you. Past Due Amount: Any unpaid balances carried over from the previous billing cycles. Fees Charged: These are the fees incurred such as late payment fees, over the limit fees, annual fees, returned check fee. Interest charged (Annual Percentage Rate “APR”): The APR, Daily Periodic Rate or a Monthly Periodic Rate is a measure of how much your debt is costing you in interest annually and is based on your creditworthiness. This section reflects the total amount owed on your card, the minimum amount you are required to pay and the date by which it must be paid to avoid penalty charges. On some statements, this information will be rolled into the account summary. Minimum payment: This is the least amount you are required to pay on your bill to avoid late fees, higher interest rates, and to remain in good standing with your creditor. 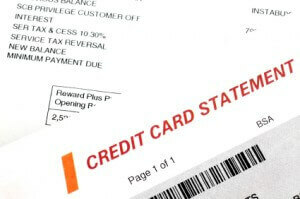 Payments made 30 days or later will negatively impact your credit report. Payment due date: This is the date in which your payment is due, usually by 5 p.m. If you’re mailing payments, be sure to allocate enough time to avoid late fees. Late Payment Warning: This warning is to inform you that if your payment is not received by your due date, you will be charged additional fees and your interest rates may increase. Minimum Payment Estimate: This is the approximate length of time it should take to pay off the debt if you only make the minimum payments. If for some reason you go over your credit limit or pay your bill late, your credit card company will notify you that your interest rates will be increasing, the amount of the increase, and the date the new increased rate will take effect. This section notifies you of any changes to your credit card account, states your revised interest rates and the date it will take effect. You must be notified of any changes at least 45 days before the changes go into effect. This is simply a list of all the purchases, payments, credits, cash advances, and balance transfers you’ve made since your last statement. Fees: This sub-section contains all the fees that your company charged you on your bill. Interest Charges (Finance Charges): This is a summary of the interest rates charged for each type of transaction (purchases, cash advances, balance transfers), as well as total interest for the period. Totals Year-to-Date: This is the total you’ve paid in fees – over-the-limit fees, late fees, and interest charges for the year. Annual Fee: This is an annual fee is what you pay to have a credit card and varies from card to card. Some cards may have no annual fees. Late Fee: This is a fee you pay the bank or credit card issuer if your monthly payment is received after the due date. Late payments show up on your credit report. Over Limit or Credit Limit Fee: This is a penalty you are charged for going over your credit limit. Returned Check Fee: This is an additional fee your credit card company charges to your account for bounced checks. You will also be charged an additional overdraft fee. Important Note: What does the grace period mean? Your grace period is the number of days you have to pay at least your minimum before the debt will trigger a finance charge. There are no grace periods for cash advances even if the previous balance was paid in full. The fine print on the back of your statement is also packed with important information. It’s particularly useful for explaining fees applied to your accounts and important procedures related to your account. Cash Advance Fees: This fee is charged if you use your credit card for a cash advance. This may be a flat fee or a percentage of the cash advance. This fee is usually higher than the rate you pay on ordinary credit card purchases. Other Fees: Some credit card companies charge a fee if you pay by telephone. They may also charge a fee to cover the costs of reporting to credit bureaus, reviewing your account, or providing other customer services. Be sure to look over your statement to make certain that the numbers are correct. Lost or Stolen Cards: The minute you notice your card missing report it immediately by calling the number listed on the back of your credit card statement. Owning a credit card is a financial risk – a risk that can be minimized by dissecting your monthly statements and thoroughly reading and understanding the fine print. If you are struggling to keep up, Consolidated Credit’s certified credit counselors may be able to help you. 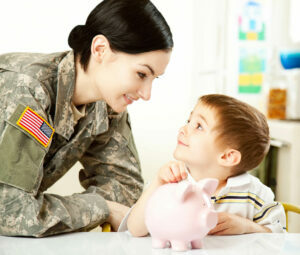 Call 1-888-294-3130 or request a free Debt & Budget Analysis online.